“Faith” Video, Country Pop Star Eileen Carey – Eileen Carey music: country pop rock music & female artist songwriter with music CD's available online. 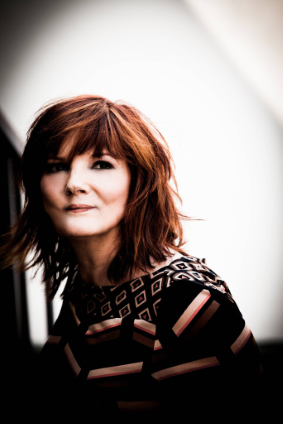 Sisterly Sage: In New “Faith” Video, Country Pop Star Eileen Carey Encourages Women to have Faith in themselves and move-on from a bad relationship. The MuseBox today announced that rising California country star Eileen Carey has released the music video for “Faith,”her new and already charting inspirational single that encourages women to find independence and strength in themselves. Carey’s last two music videos, “Bottle Your Crazy Up” and the feel-good summer release “Party at the Beach,” have accumulated more than 75,000 Youtube views. “Faith” jumped into the Top 20 on the NMW country radio charts, Top 10 Indie, and the NMW Adult Contemporary and Hot AC charts. “Faith” also made an appearance on Music Row’s Country Breakout chart and entered the international Wildhorse Entertainment Superstars of Country out of South Africa at #33. The music video for “Faith” was filmed at Carey’s producer Travis Allen Childress’ recording studio in Montrose, California. It was directed and produced by Taner Tumkaya, the same director who worked on Carey’s “Party at the Beach” lyric video. Carey has also started posting in her new blog, www.TheMusicMom.com. The mission of The Music Mom is consistent with Carey’s “Faith” video in that it reveals Carey’s desire to give of her experience and wisdom.